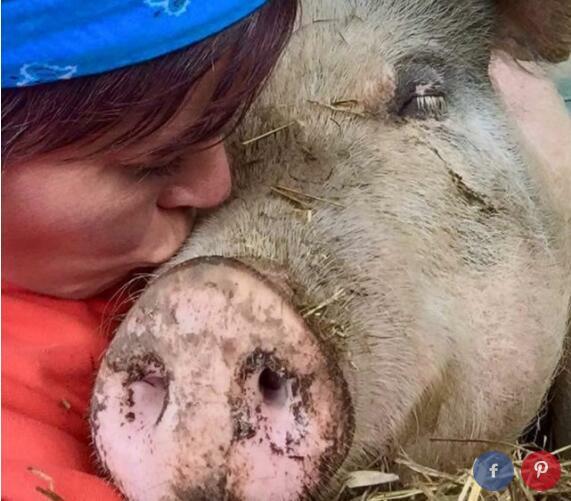 Winnie was just a little piglet when she met the most important person of her whole life. Sixteen-year-old Lindsay Scroggie had just been lent Winnie by her grandfather, so that she could have a little pig to play with and raise during the summer. 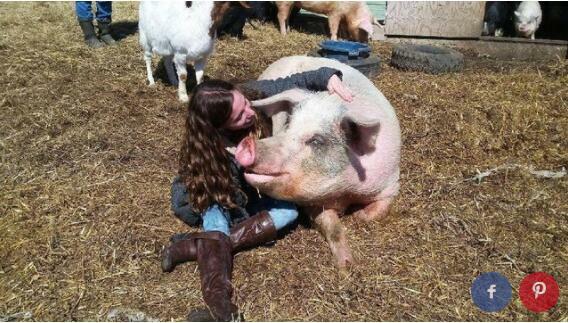 "My grandpa's been raising pigs for slaughter since my mom was a kid," Scroggie told The Dodo. "[When I was] growing up he'd usually give me and my brother a pig or two to play with for the summer and then they'd go back in the fall for obvious reasons." 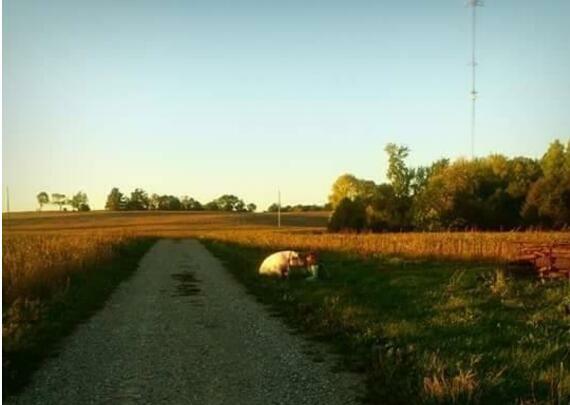 So she went to pick out a pig at the barn. 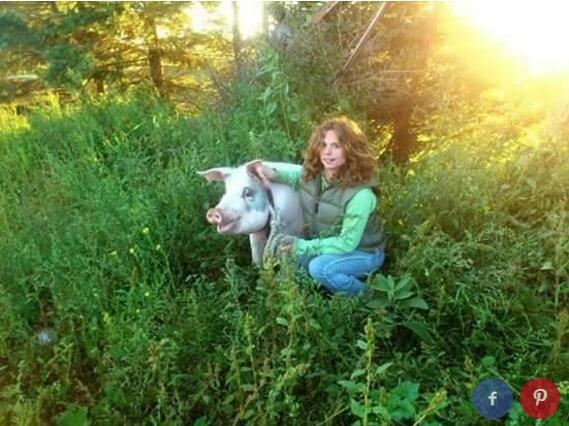 "I sat on the gate while I pointed to which pig I wanted and home it came," she said. But this time things felt different. "Maybe it was because I was a little older but Winnie always seemed different than the other pigs we raised as kids. She was personable. She'd lay beside me in the grass, help me do chores in the morning, follow me for walks," Scroggie said. "I knew there had to be more for Winnie than going back like all the other pigs but I never actually thought about the 'slaughter' aspect throughout the summer." As the summer went on, Winnie grew in size and in personality. 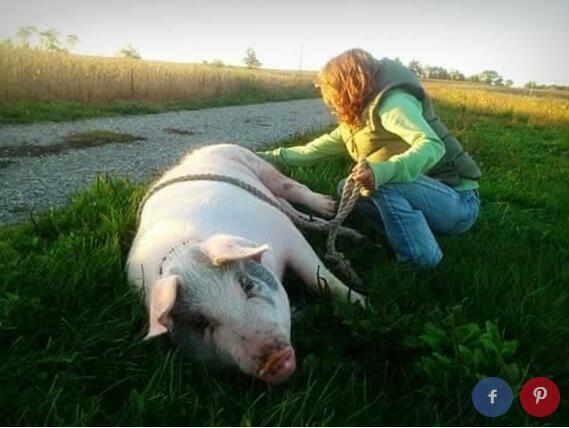 "She turned into a pet and no one really viewed her as meat," Scroggie said. Soon, Scroggie made Winnie a pen in the yard, for when Lindsay had to go to her summer job and no one was around to watch her. Winnie had become part of the family - but was just getting too large to keep as a pet. "It started to become an issue," Scroggie said. As the summer started coming to an end, and colder air rolled in, Winnie got pneumonia. Even if Lindsay could persuade her grandfather to spare Winnie's life, there wasn't really any place Winnie could live. 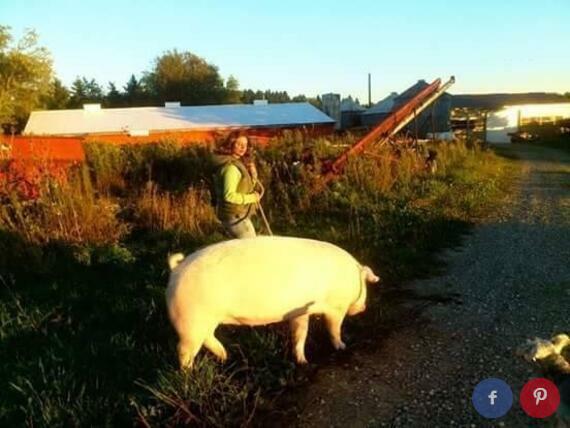 "I knew I wouldn't be able to keep her warm enough through the winter if she were to stay, and keeping her at the pig barn all by herself all winter wouldn't be fair," Winnie said. 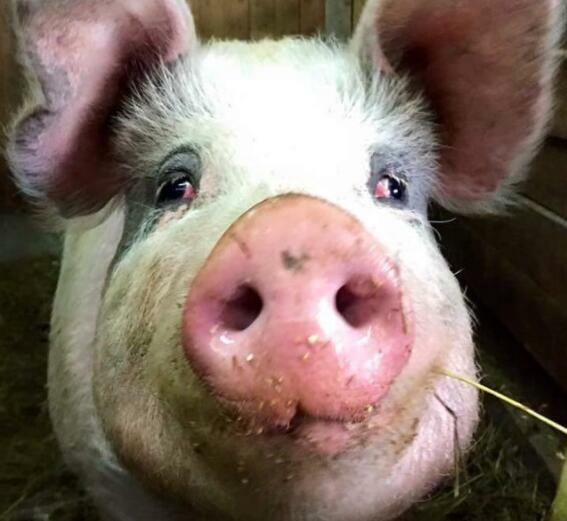 Scroggie was putting up ads, trying to find a forever home for the pig who had become her friend. "I was scrolling through Facebook ... which is how I got into contact with Esther's owners," Scroggie said. 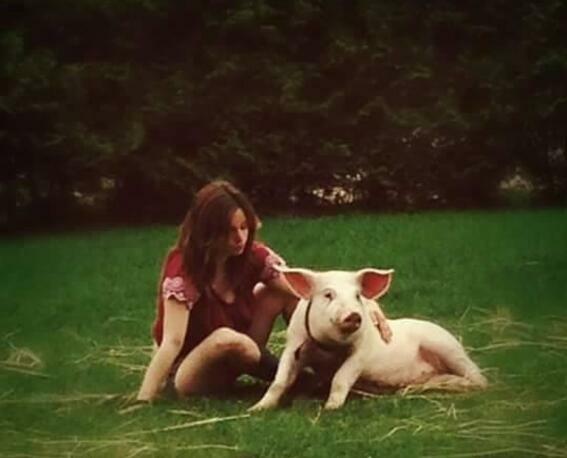 Esther the Wonder Pig became famous when the people who adopted her as a "mini pig" realized that Esther was going to be a full-grown pig - and so they changed their lives, moving to a farm and starting a whole animal sanctuary for her. 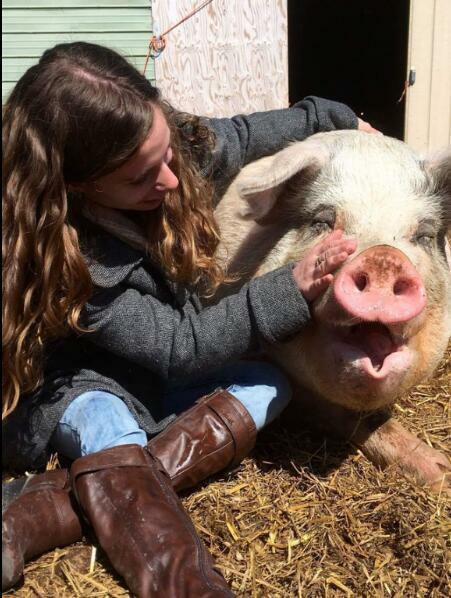 At the time Lindsay contacted them, though, they were still setting up the sanctuary, and couldn't take Winnie just yet - but they knew of someone who could: Home Free Farm, in Kingston, Ontario, about four hours away from where Lindsay lived. Scroggie's grandfather agreed to release Winnie - for a price. He said that Scroggie had to buy Winnie's freedom for market value, so she saved up $350 to rescue her. 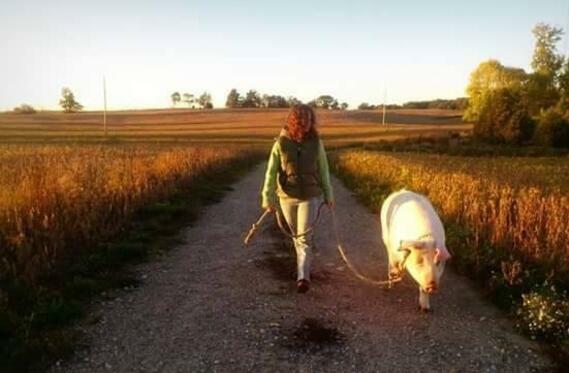 Finally, at the end of the summer, Winnie got a ride from a volunteer who agreed to drive the pig the four hours to her new forever home, where she would get to live out her whole long life. And Winnie didn't have to ride alone. 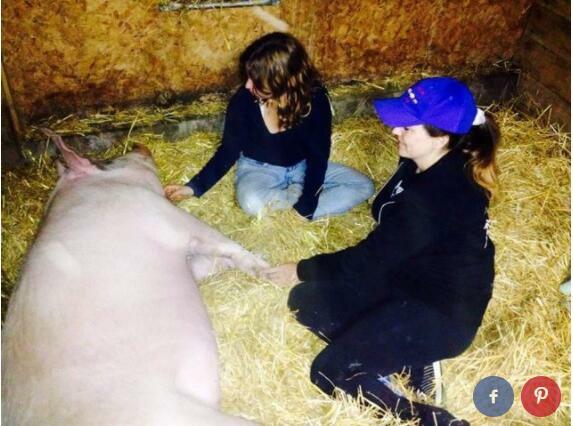 "Lindsay insisted that she jump in with them to make sure that Winnie was OK," Carrie MacInnis, the owner of the sanctuary, told The Dodo. "Lindsay is a very special soul. She so deserves recognition for her choice to save Winnie." 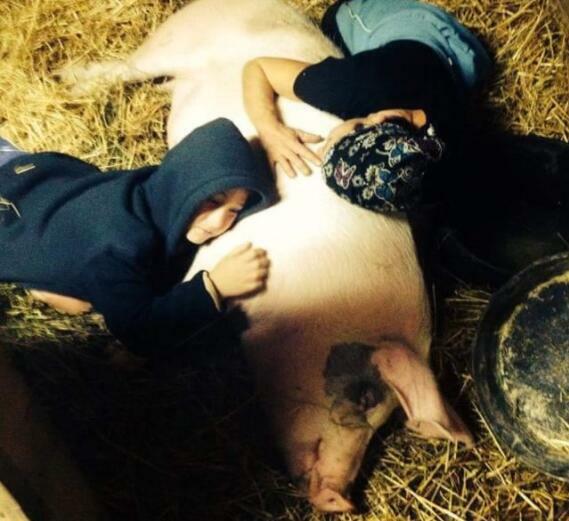 "Winnie ended up here, at about 8 months old and about 400 pounds," MacInnis added, remembering how, on Winnie's first night at the sanctuary, she and her kids cuddled with Winnie to comfort her. 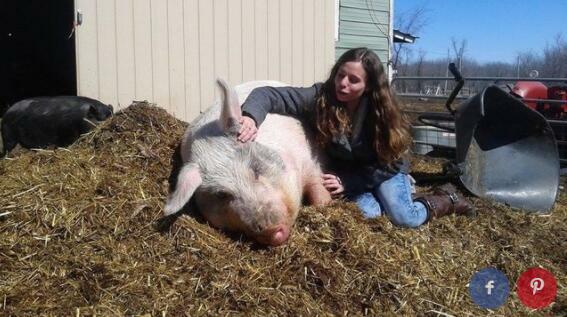 "She's now almost 4, and weighs almost 900 pounds." 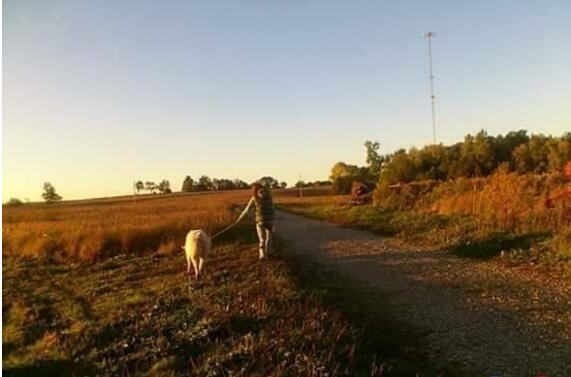 Ever since that day, Winnie has met new friends at the sanctuary and enjoyed lying in the sun and going on walks. Then, three years later, Winnie got a surprise visit. Scroggie was touring colleges in the area when she got in touch with Carrie to arrange a visit to see Winnie. When Scroggie arrived she hopped in Winnie's pen and Winnie immediately came over. "She nearly knocked me over! With one call Winnie perked up her ears," Scroggie said. "She definitely remembered."